Another beautiful, sunny day and I finally got a chance to crack open the mango jam my mom hand-carried from Manila. I read about something similar recently in a friend’s blog post so when my mom asked if there was anything I wanted from back home, I knew what to ask for. 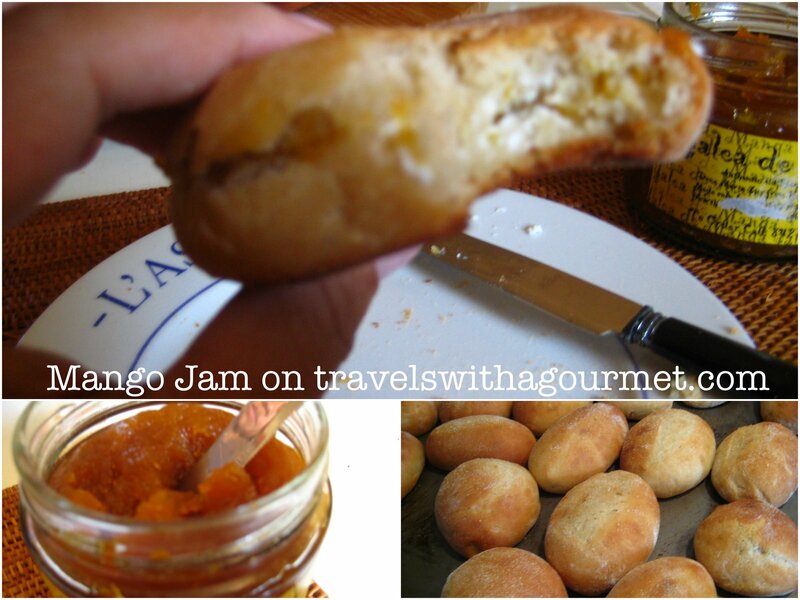 Mango jam brings back memories of warm, humid days and snacks under the sun of freshly-made pan de sal (soft bread rolls) slathered with mango jam and butter. Since pan de sal isn’t available here, I made my own based on a family recipe from my grandfather’s family bakery that they still make to this day. I had a few filled with Ricotta cheese and the thick fruity mango jam (from Vicki Maniquis’ kitchen) and it was as good or even better than I remember. Decades later, the taste of mango jam still brings back those lazy summer days. I'm not sure but if I find out I'll post it here. Where can I find mango jam in Paris?